Nongprue Kindergarten has hired a consultant to see how it can reduce class sizes and increase learning activities. Principal Sirisak Sirilert welcomed the Smart Trainer Group to survey the school March 6. 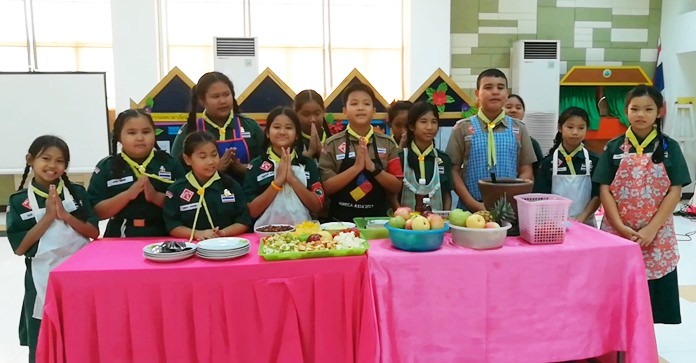 Students were treated to a meal and snacks and given a chance to partake in Muay Thai boxing, a beauty activity and other sports. “Smaller Classes, More Knowledge” is a policy formulated by Prime Minister Prayut Chan-o-cha to improve Thailand’s educational performance. The thought is that smaller classes and shorter days will reduce student stress while more hands-on learning lessons will yield better results than the decades of rote memorization have. New-age lessons focus on the “head, heart and hands” to reinforce cognitive thinking, values and practical skills. 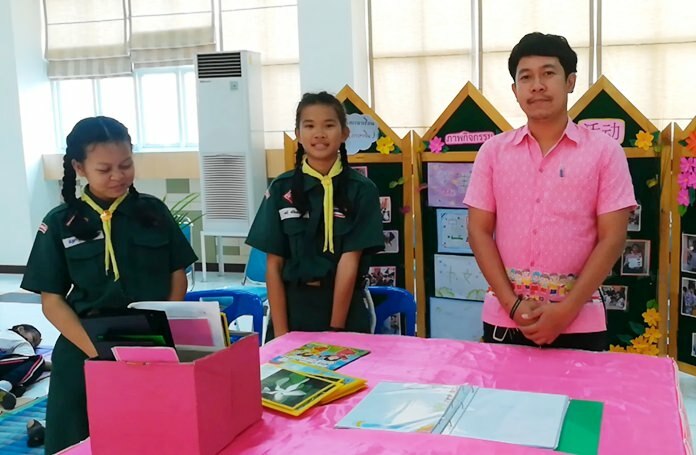 The consultant will work on making Nongprue Kindergarten a model school for others in the area to follow. 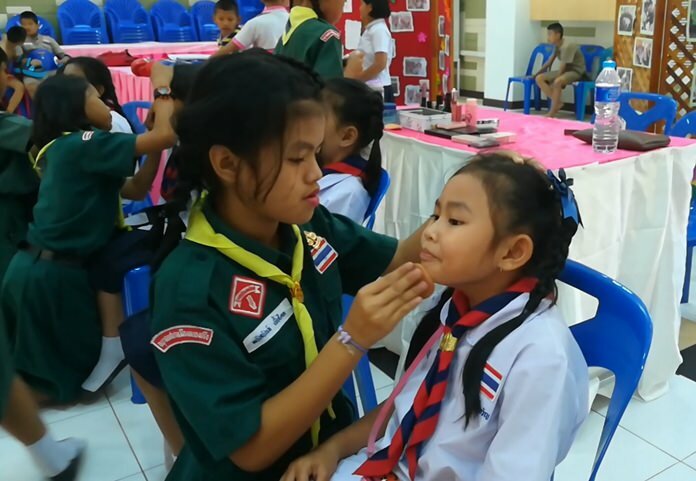 Young girls learn beauty basics. 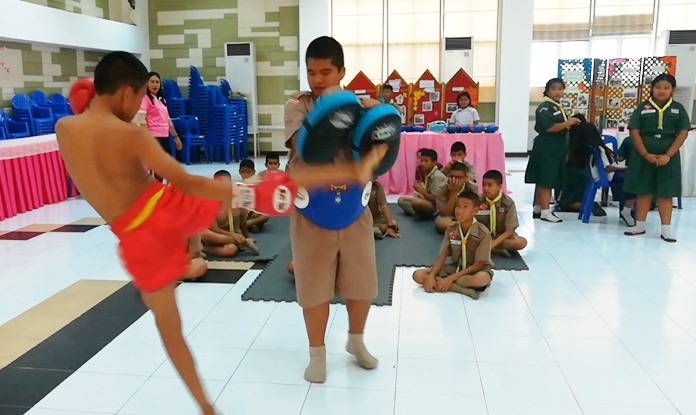 Students are given a chance to partake in Muay Thai boxing and other sports. Students were treated to a meal and snacks. Thai massage lessons may come in handy later in life.